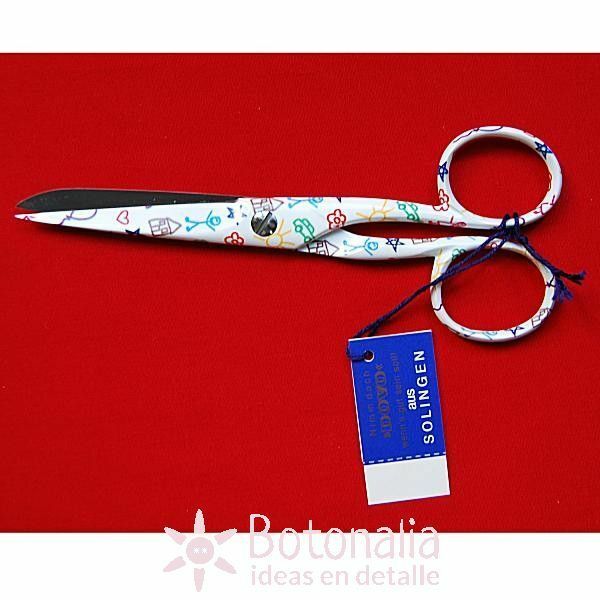 Product Description: General use scissors by DOVO, finished in white lacquer with children's graffiti motifs in primary colors. 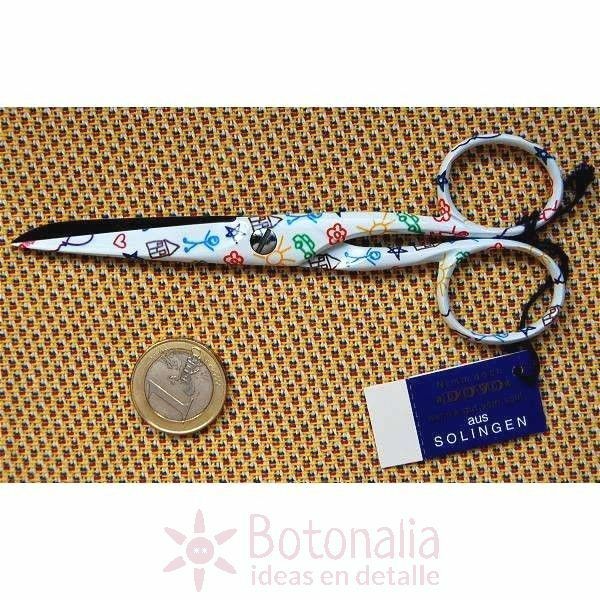 This is a high quality pair of scissors indicated for general use in the home and sewing. DOVO scissors are manufactured in Solingen, Germany, by qualified and skilled workers, using the best steel and strict quality controls. Expertise has been handed down from generation to generation with the result of high quality, strong but not heavy to use scissors, which continue to convince the most demanding users around the world. These scissors will provide you with many years of service and a perfect finish.